Skin care is so important in maintaining healthy proper skin hygiene. As I research ingredients for my skin care line, I want to share tips with my readers on the various skin types and proper care for your skin. This will be a 5 week series on the 5 different skin types and the proper care. To find out what type of skin you have get my FREE eBook here. Have you ever looked at the skin of an orange, that is a sample of the what the surface of an oily face with enlarged pores. Not the look you want! Oily skin is prone to have larger pores and acne. It is important to care for this skin type for a healthy appearance. Oily skin is very greasy in the T-Zone. The T-Zone consist of your forehead, nose, and chin because it forms a "T". The T-Zone has more oily glands than any part of the face. The T-Zone is more prone to acne and breakouts because of the clogged pores. Although, you want to avoid over cleaning your face, regular cleaning is required for oily skin! People with oily skin think that moisturizes add to the oil of their skin and its not necessary. That is far from the truth every part of our skin needs moisture. There are different types of moisturizes to use to eliminate excess oils. 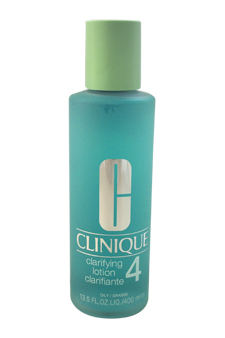 First, wash your face in a non-comedogenic face wash. Use a cleanser that contains salicylic acid. Salicylic acid soaks up oils and cleans out your pores. When you have enlarged pores bacteria can seep in and salicylic acid can cleanse those pores of unhealthy bacteria. Also look for products that contain sulfer. Sulfer helps the sebum (good oils already in your skin) become entrapped in your skin. Look for products that carry Tea Tree Oil, Benzoyl Peroxide, and Hyaluronic Acid. Smells great and gentle enough to not strip your skin! Full of Saylicylic and hyaluronic acids! This is a great investment! It gently scrubs away the dead skin cells without scratching. Soft and gentle.